“Jus’ wanted to feel that girl’s dress—jus’ wanted to pet it like it was amouse—Well, how the hell did she know you jus’ wanted to feel her dress? Shejerks back and you hold on like it was a mouse. She yells and we got to hide in airrigation ditch all day with guys lookin’ for us, and we got to sneak out in thedark and get outa the country. All the time somethin’ like that—all the time. Iwisht I could put you in a cage with about a million mice an’ let you have fun.”His anger left him suddenly. He looked across the fire at Lennie’s anguishedface, and then he looked ashamedly at the flames. Slowly, like a terrier whodoesn’t want to bring a ball to its master, Lennie approached, drew back,approached again. George snapped his fingers sharply, and at the sound Lennielaid the mouse in his hand. Lennie, who had been watching, imitatedGeorge exactly. He pushed himself back, drew up his knees, embraced them,looked over to George to see whether he had it just right. He pulled his hatdown a little more over his eyes, the way George’s hat was. Lennie admires/looks up to/idolizes George. It does not appear to me that my hand is unworthy of your acceptance, or that the establishment I can offer would be any other than highly desirable. It's impossible for Collins to imagine that his offer wouldn't be eagerly accepted. Elizabeth's family has made a disaster of the evening. Mary's powers were by no means fitted for such a display; her voice was weak, and her manner affected. Now Mary's joining in on the embarrassment, singing when no one really wants her to. Mrs. Bennet is embarrassing her daughter, and possibly tainting Jane's chances with Bingley by being so outspoken. Mr. Collins doesn't take a hint very well, Pt. 1. I hear you are quite delighted with George Wickham! 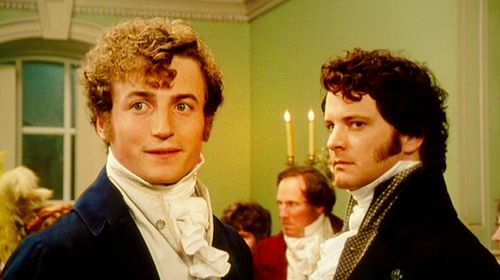 Your sister has been talking to me about him, and asking me a thousand questions; and I find that the young man quite forgot to tell you, among his other communication, that he was the son of old Wickham, the late Mr. Darcy's steward. 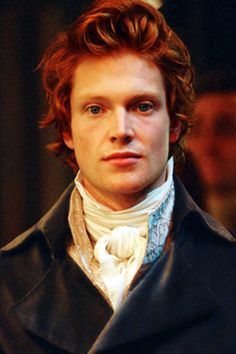 Let me recommend you, however, as a friend, not to give implicit confidence to all his assertions; for as to Mr. Darcy's using him ill, it is perfectly false; for, on the contrary, he has always been remarkably kind to him, though George Wickham has treated Mr. Darcy in a most infamous manner. I do not know the particulars, but I know very well that Mr. Darcy is not in the least to blame, that he cannot bear to hear George Wickham mentioned, and that though my brother thought that he could not well avoid including him in his invitation to the officers, he was excessively glad to find that he had taken himself out of the way. His coming into the country at all is a most insolent thing, indeed, and I wonder how he could presume to do it. Caroline has a different take on the Wickham/Darcy feud. 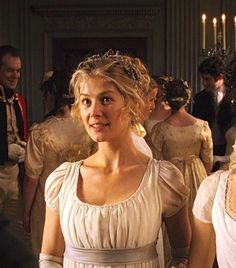 Sir William's allusion to his friend seemed to strike him forcibly, and his eyes were directed with a very serious expression towards Bingley and Jane, who were dancing together. when a certain desirable event, my dear Eliza (glancing at her sister and Bingley) shall take place. Sir William is implying that Jane and Bingley will be married soon. To find a man agreeable whom one is determined to hate! Mr. Darcy who took her so much by surprise in his application for her hand, that, without knowing what she did, she accepted him. Elizabeth agrees to dance with Darcy, finally. prepared in the highest spirits for the conquest of all that remained unsubdued of his heart, trusting that it was not more than might be won in the course of the evening. Lizzie's confident she can win over Wickham completely tonight. Lady Catherine wants her daughter to marry Darcy and consolidate the two families' fortunes (yes, they are first cousins). Lady Catherine de Bourgh is Mr. Collins' source of income. Mr. Collins is a minister. my cousin, Mr. Collins, who, when I am dead, may turn you all out of this house as soon as he pleases. Mr. Collins is the heir to Longbourn. I do not believe she often sees such at home. Mrs. Bennet is horrible to the Lucases. Darcy is scared of his feelings for Elizabeth, so he decides to give her the silent treatment for the final day of her stay. Miss Bingley was then sorry that she had proposed the delay, for her jealousy and dislike of one sister much exceeded her affection for the other. Caroline is ready for Lizzie to be out of the way. "You either choose this method of passing the evening because you are in each other's confidence, and have secret affairs to discuss, or because you are conscious that your figures appear to the greatest advantage in walking; if the first, I would be completely in your way, and if the second, I can admire you much better as I sit by the fire." Do let the portraits of your uncle and aunt Phillips be placed in the gallery at Pemberley. Put them next to your great-uncle the judge. They are in the same profession, you know, only in different lines. Caroline sarcastically suggests that, when Darcy and Elizabeth are married, he should hang a picture of Elizabeth's uncle (a common, middle-class lawyer) next to the painting of his great uncle, a judge, since they are "in the same profession." The second time Elizabeth's refused Darcy's request to dance. Darcy refuses to make fun of Elizabeth with the Bingley sisters. Elizabeth knows Caroline and Louisa will talk smack about her family as soon as she leaves. lest her mother should be exposing herself again. Please don't start talking again, mom. the Lucases are a very good sort of girls, I assure you. It is a pity they are not handsome! Oh, Mrs. Bennet. 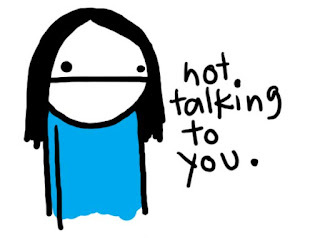 Stop talking. those persons who fancy themselves very important, and never open their mouths, quite mistake the matter. Mrs. Bennet manages to sneak in a dig at Darcy. He only meant that there was not such a variety of people to be met with in the country as in the town, which you must acknowledge to be true. Elizabeth stands up for Darcy to her mom. Darcy doesn't believe rural life could be interesting. I often tell my other girls they are nothing to her. Caroline can't bring herself to be warm to Mrs. Bennet. being satisfied on seeing her that her illness was not alarming, she had no wish of her recovering immediately, as her restoration to health would probably remove her from Netherfield. Again, Mrs. Bennet is putting Jane's marriage prospects in front of her health. A woman must have a thorough knowledge of music, singing, drawing, dancing, and the modern languages, to deserve the word; and besides all this, she must possess a certain something in her air and manner of walking, the tone of her voice, her address and expressions, or the word will be but half-deserved." Caroline Bingley's definition of an accomplished woman. Elizabeth is setting out to help her sister; Catherine and Lydia just want to meet boys. Mr. Darcy, with grave propriety, requested to be allowed the honour of her hand, but in vain. Elizabeth rejects Darcy's invitation to dance. But no sooner had he made it clear to himself and his friends that she hardly had a good feature in her face, than he began to find it was rendered uncommonly intelligent by the beautiful expression of her dark eyes. To this discovery succeeded some others equally mortifying. Though he had detected with a critical eye more than one failure of perfect symmetry in her form, he was forced to acknowledge her figure to be light and pleasing; and in spite of his asserting that her manners were not those of the fashionable world, he was caught by their easy playfulness. Darcy discovers that he's attracted to Elizabeth, against his better judgment. "Your plan is a good one," replied Elizabeth, "where nothing is in question but the desire of being well married, and if I were determined to get a rich husband, or any husband, I dare say I should adopt it. Here Elizabeth highlights a difference between Charlotte and herself: where Charlotte's only goal is to be "well married," Elizabeth has other things on her mind. Charlotte is suggesting that it's a bad idea to play "hard to get"--if you want to score a man, you've got to tell him how you feel. Mary thinks she's about to say something smart. I could easily forgive his pride, if he had not mortified mine." Pride is fine, says Elizabeth, as long as it does no injury to others. Charlotte makes the point that Darcy has a right to the pride he shows--he has a life to be proud of. Mrs. Bennet is forcing herself to be polite to Charlotte, who she doesn't think was worthy of Bingley's attention. At 27, Charlotte is especially old to be unmarried. By comparison, Lizzie is 20 and Jane is 22. Sir William thinks very highly of himself even though, as Maya pointed out, his title is largely honorary. Sir William is the father of Elizabeth's best friend, Charlotte. This is the father of Elizabeth's best friend, Charlotte. Miss Bennet he acknowledged to be pretty, but she smiled too much. Darcy even finds something to criticize in flawless Jane: she smiles too much. This paragraph offers a contrast between Bingley and his best friend, Darcy. Elizabeth doesn't approve of Bingley's sisters. Jane is not quick to judge. How is Elizabeth different from her sister? You never see a fault in anybody. All the world are good and agreeable in your eyes. I never heard you speak ill of a human being in your life. Elizabeth characterizing Jane: she never sees bad in people. But that is one great difference between us. Compliments always take you by surprise, and me never. Jane, though very beautiful and charming, seems to be almost unconscious of it. A chapter-ending negative review of Mr. Darcy, courtesy of Mrs. Bennet. Mrs. Bennet's kind of a horrible person, saying that nobody could admire Charlotte (i.e., that Charlotte is ugly). Charlotte Lucas, Elizabeth's best friend. Longbourn, the village where they lived, and of which they were the principal inhabitants. Longbourn is a fictional town in Hertfordshire. She told the story, however, with great spirit among her friends; for she had a lively, playful disposition, which delighted in anything ridiculous. Direct characterization of Elizabeth--she is playful enough to tell this embarrassing story to entertain her friends. "She is tolerable, but not handsome enough to tempt me; I am in no humour at present to give consequence to young ladies who are slighted by other men. You had better return to your partner and enjoy her smiles, for you are wasting your time with me." Darcy isn't particularly attracted to Elizabeth. This might suggest many things about Darcy, but because the story has been told, up to this point, chiefly from the point of view of the Bennets (and largely Mrs. Bennet), Darcy comes across as a sort of snob. he was discovered to be proud; to be above his company, and above being pleased; and not all his large estate in Derbyshire could then save him from having a most forbidding, disagreeable countenance, and being unworthy to be compared with his friend. Darcy almost immediately gets a bad reputation. 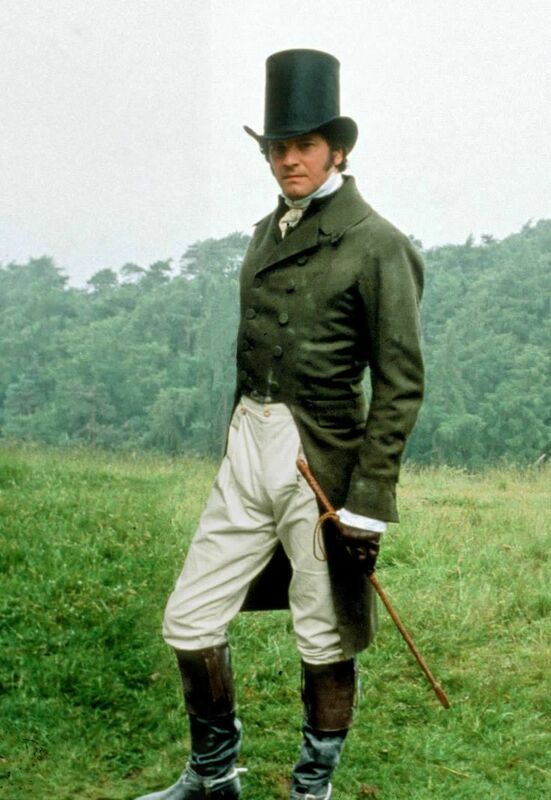 Mr. Darcy soon drew the attention of the room by his fine, tall person, handsome features, noble mien, and the report which was in general circulation within five minutes after his entrance, of his having ten thousand a year. 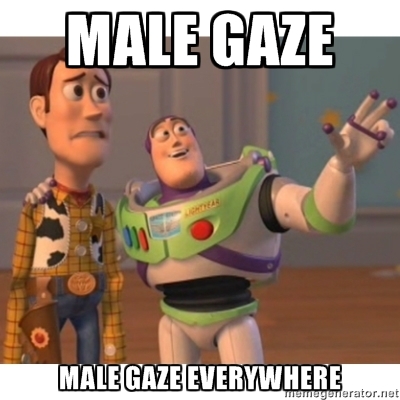 First impressions of Mr. Darcy. His sisters were fine women, with an air of decided fashion. Bingley's sisters, Caroline Bingley (unmarried) and Louisa Hurst (married) are described as, above all else, very stylish. Our first direct characterization of Bingley. Such minimal information about Bingley is a great treasure to the Bennet girls. This is a very tall order, but Mrs. Bennet presents it as if it were a humble request. Like the first line of the novel, this seems to be quite an exaggeration. In my mind, I read it in the voice of Mrs. Bennet, who would actually consider this to be true. Lady Lucas and her husband, Sir William, are properly introduced in chapter 5. Mr. Bennet refuses to give straight answers to his wife's and daughters' questions about Bingley. He seems to be toying with them. Most of the locations in Pride and Prejudice are fictional, but Austen writes that Netherfield, Meryton, and the Bennets' home of Longbourn are all located in Hertfordshire County, in southern England. Mary? For you are a young lady of deep reflection, I know, and read great books and make extracts." 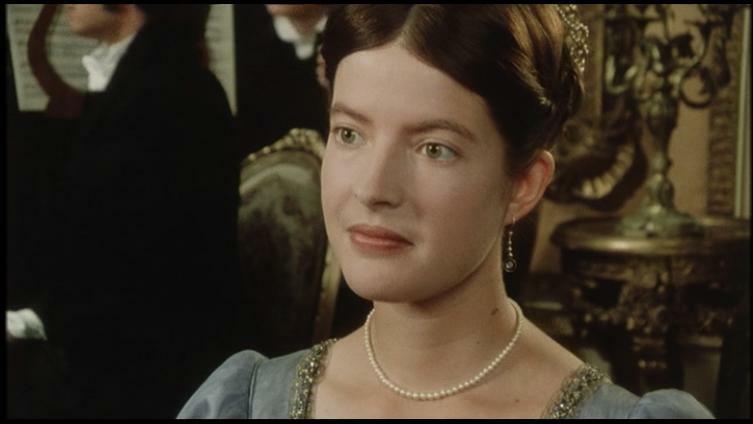 Mary, rarely mentioned in the novel, is the third (and, therefore, middle) Bennet sister. She is also, it is frequently said, the "plainest." Katherine, the fourth of the Bennet sisters. Mr. Bingley's arrival in Netherfield is the catalyst that kickstarts the novel's plot. a woman of mean understanding, little information, and uncertain temper. When she was discontented, she fancied herself nervous. The business of her life was to get her daughters married; its solace was visiting and news. A direct characterization of Mrs. Bennet. 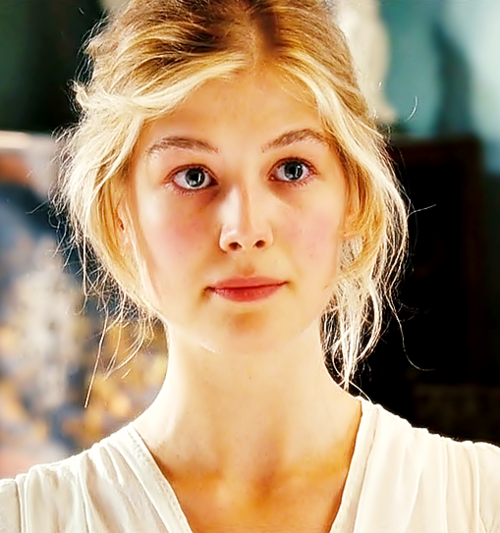 At fifteen, the youngest Bennet sister. A direct characterization of Mr. Bennet. The oldest of the Bennet sisters, and generally considered the most beautiful. 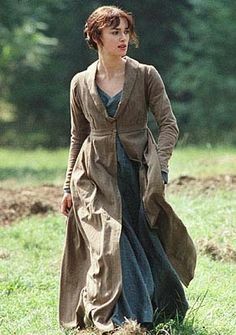 Elizabeth Bennet, the second oldest of the five Bennet sisters and her father's favorite; the protagonist of the novel. 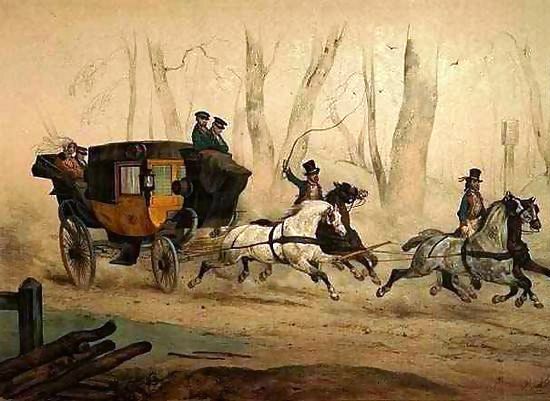 A four-wheeled carriage pulled by four horses. Fellows is suggesting that, though the policeman wants to speak to him, his thirteen-year-old daughter is the real authority. The priest tries unsuccessfully to get some rest throughout this scene. You do it with cards. Have you any cards? 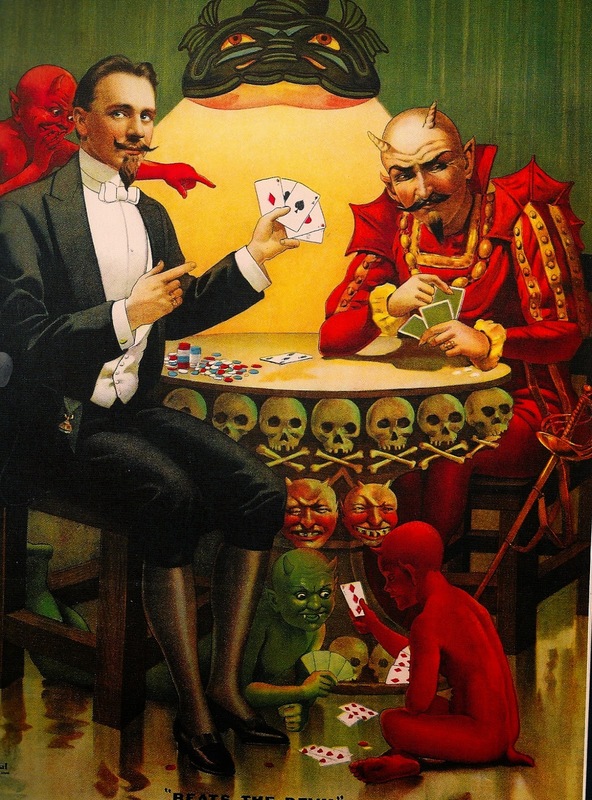 Another sign that he's not a "good priest"--playing cards were often seen as sinful. difference between drinking a little brandy after dinner and—well, needing it. Captain Fellows suggests that the priest is an alcoholic. Coral is on the edge of adolescence--she will not be a little girl for very much longer. The lieutenant's gun gives him authority to do what he pleases. this was his own land, and he would have walled it in with steel if he could. Fellows and his wife are foreigners--perhaps Americans. Fellows isn't interested in treason--everyone, he seems to suggest, commits treason. The Fellows' seem afraid of their daughter. Why? She stood in the doorway watching them with a look of immense responsibility. Before her serious gaze they became a boy you couldn’t trust and a ghost you could almost puff away: a piece of frightened air. Coral is described as a girl almost beyond her years, more adult than her own parents. Mrs. Fellows seems to be always afraid. Why? The Fellows' daughter, a young teenaged girl. Captain Fellows' wife, Beatrix, is not well. 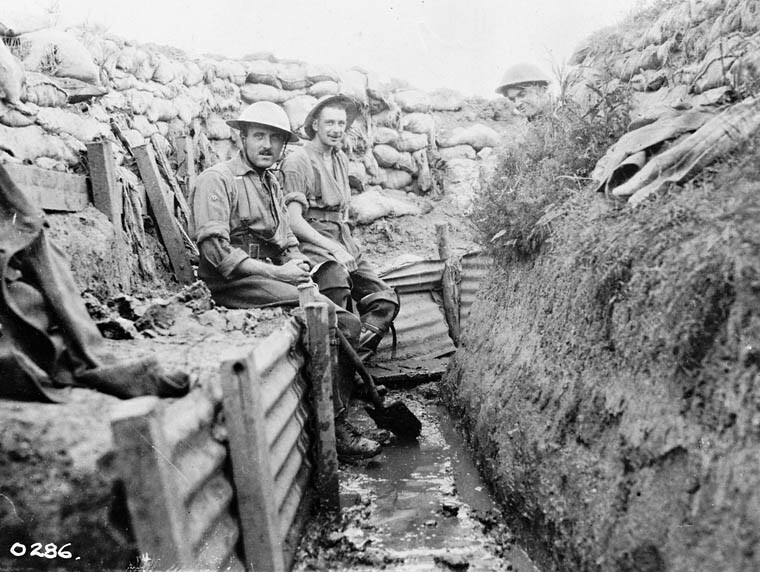 Captain Fellows is a veteran of World War I. Like the rest of the police, the jefe is lazy and doesn't take his job seriously. His gaiters were polished, and his pistol-holster: his buttons were all sewn on. The lieutenant stands in contrast to the disorder around him. He takes pride in his appearance and his job. Latin: "Pray for us." 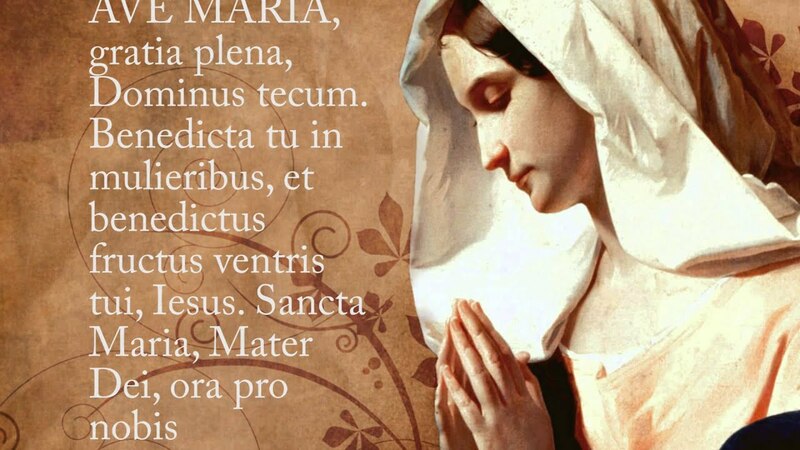 Part of the Ave Maria, frequently recited during Mass. Catholicism was outlawed at the time in Tabasco, where The Power and the Glory takes place; the man's interest in whether Tench is a believer is perhaps our first clue about who he really is. 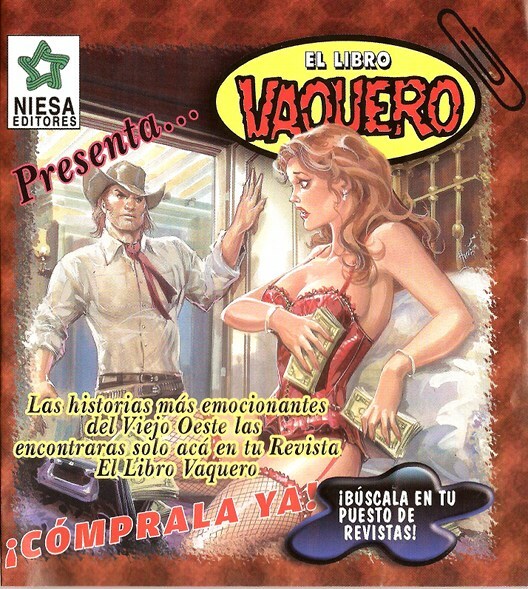 The stranger seems to be carrying a romance novel. The second person Mr. Tench encounter with a gun. 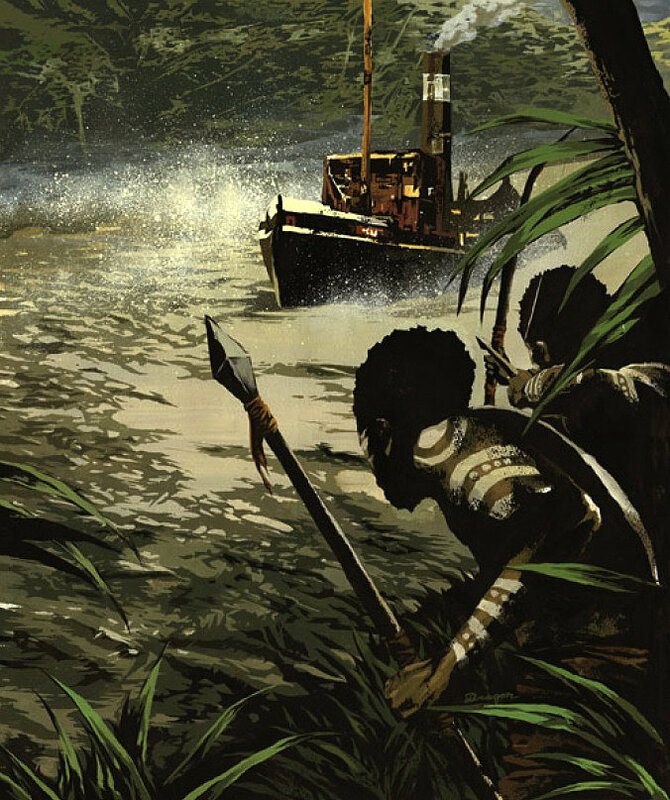 This calls to mind Conrad's Heart of Darkness, in which an Englishman heads up the Congo River into the jungle of Africa. 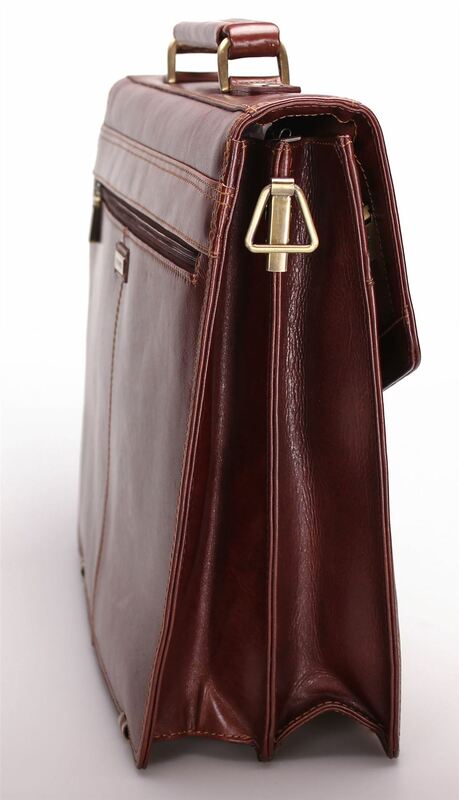 He stood stiffly in the shade, a small man dressed in a shabby dark city suit, carrying a small attaché case. This is our first description of the novel's unnamed protagonist; in this chapter he is, at various times, called "a small man," "the little man," "the stranger," "the hollow man," or simply, "the man." A league is a measure of about three miles; six leagues would be close to eighteen miles. Paramilitary group organized by Tomás Garrido Canabal to crack down on the Church's activities. The Red Shirts burned churches and hunted priests, among other things. It’s good to talk English, even to a foreigner. It's ironic that Mr. Tench makes this observation about the stranger when he himself is the true foreigner. A traditional symbol of England. 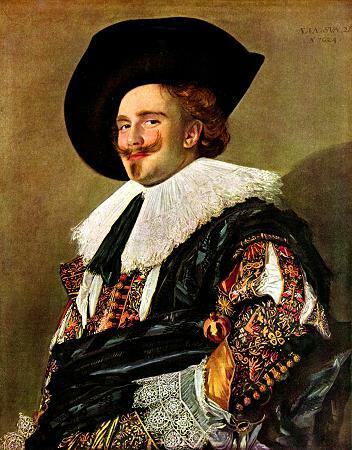 A painting by the seventeenth-century Dutch portraitist Frans Hals. The vessel gets its name from Álvaro Obregon, a revolutionary general and President of Mexico from 1920-1924. He won election a second time, in 1928, but was assassinated before he could take office, by a man who opposed his administration's anti-Catholic laws. Here Greene directly alludes to Eliot's poem. After this manner therefore pray ye: Our Father which art in heaven, Hallowed be thy name. Thy kingdom come, Thy will be done in earth, as it is in heaven. Give us this day our daily bread. And forgive us our debts, as we forgive our debtors. And lead us not into temptation, but deliver us from evil: For thine is the kingdom, and the power, and the glory, for ever. Amen. It finishes the line, "For Thine is the Kingdom..." Perhaps significantly, T.S. Eliot's 1926 poem "The Hollow Men" contains the unfinished line. It is as if Greene is finishing Eliot's misremembered line for him. The title to Eliot's poem itself is taken from a description of Mr. Kurtz in Joseph Conrad's Heart of Darkness. 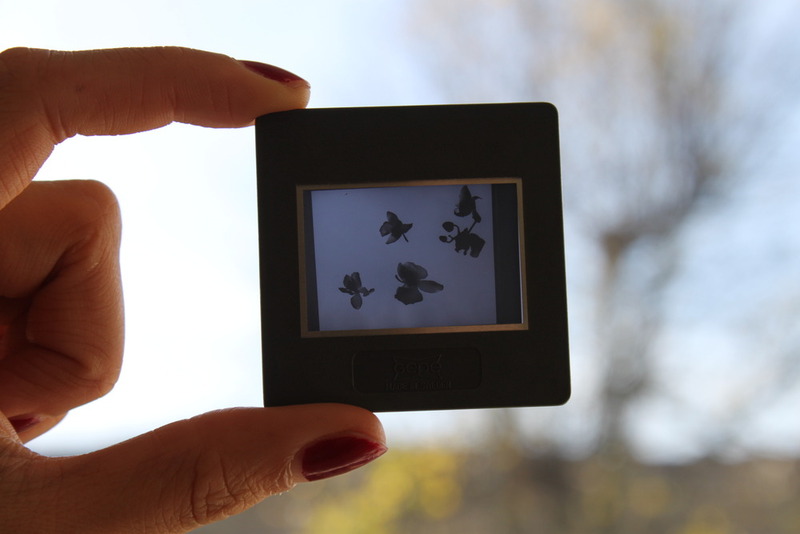 In the old days, we used to get slides made of pictures. You'd have to hold them up to the light to see what the picture was of. Speaker: a teacher of poetry? Mexico is a land of intense faith. What are the author's assumptions about religion in Mexico? What do scholars sit around talking about? Cute girls. Blasphemy: Helen is more beautiful even than God. The mind is its own place, and in itself/ Can make a Heaven of Hell, a Hell of Heaven. The word "heavenly" is ironic, given the origin of Faustus's powers. Helen, daughter of Zeus and the mortal Leda, and wife to King Menelaus of Sparta, was reputed to be the most beautiful woman in the ancient world. Her abduction (some would say seduction) by Paris was the spark that ignited the Trojan War. Faustus has incredible powers, and his friends want him to use them to show him a cute girl. sights of woe, Regions of sorrow, doleful shades, where peace And rest can never dwell, hope never comes That comes to all, but torture without end Still urges, and a fiery deluge, fed With ever-burning sulphur unconsumed. Such place Eternal Justice has prepared For those rebellious; here their prison ordained In utter darkness, and their portion set, As far removed from God and light of Heaven As from the centre thrice to th' utmost pole. Here words like "woe," "sorrow," and "torture" invoke a sort of sympathy for the fallen angels. God's "Eternal Justice" seems perhaps a little...extreme. At the beginning of the poem, Satan and his minions are looking around themselves in Hell after being defeated by God. Milton himself is asking the Spirit's help in telling the story. Mount Horeb, where Moses was spoken to by a burning bush. his pride Had cast him out from Heaven, with all his host Of rebel Angels, by whose aid, aspiring To set himself in glory above his peers, He trusted to have equalled the Most High, If he opposed, and with ambitious aim Against the throne and monarchy of God, Raised impious war in Heaven and battle proud, With vain attempt. Holy Spirit has been present since the beginning, when God made the world out of nothing. The mountain where Moses received the ten commandments. Can mean literal fruit (like an apple) or the consequences of sin. The poem was first published in 1667, and underwent minor revisions for a second edition in 1674. Of Man's first disobedience, and the fruit Of that forbidden tree whose mortal taste Brought death into the World, and all our woe, With loss of Eden, till one greater Man Restore us, and regain the blissful seat, Sing, Heavenly Muse, that, on the secret top Of Oreb, or of Sinai, didst inspire That shepherd who first taught the chosen seed In the beginning how the heavens and earth Rose out of Chaos: or, if Sion hill Delight thee more, and Siloa's brook that flowed Fast by the oracle of God, I thence Invoke thy aid to my adventurous song, That with no middle flight intends to soar Above th' Aonian mount, while it pursues Things unattempted yet in prose or rhyme. There are sixteen lines of verse before Milton reaches his first period. He uses this first sentence to call forth the "Heavenly Muse" (possibly the Holy Spirit) to help him compose his "adventurous song."